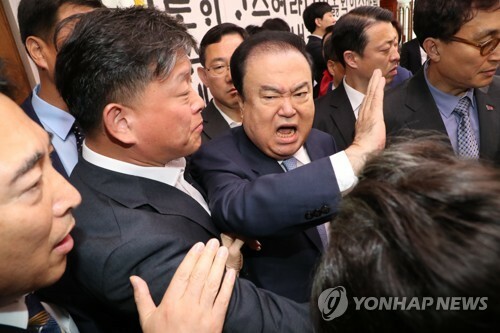 SEOUL, May 31 (Yonhap) -- North Korea included part of South Korea's territorial waters near the inter-Korean western sea border when selling its fishing rights to China, military sources here said Saturday. "Part of our waters in the Yellow Sea was included in the area that the North is allowing Chinese vessels to fish in," said a military officer in Seoul, requesting anonymity. "Upon learning this, we've notified China of such a fact and asked them to be careful not to cross the northern limit line (NLL) into the South," he added. Every year, North Korea gets paid from the Chinese side in exchange for offering China the right to fish in the North's waters either in the East or Yellow seas. This, however, is the first time the North has expanded the region to include the South's territorial waters. "The Coast Guard and the military have strengthened their guard against and crackdown on any illegal fishing boats that invade our side," the officer said. After selling the right, the North has operated in tandem with the Chinese fishing boats. Since mid-May, at the height of blue crab season, more than 100 Chinese vessels have been operating near the border region per day, officers noted. The NLL is the de facto inter-Korean western sea border, and the border region has often been a flashpoint of physical conflicts between the two Koreas. The unusual move is seen as an attempt by the impoverished communist country to earn more money, as well as to nullify the border. Pyongyang has long demanded that the NLL be redrawn farther south, as it was drawn unilaterally by the U.S.-led United Nations Command at the end of the 1950-53 Korean War.